It’s been 11 years since the horrific September 11 attacks occurred. We live in a world that has seen revolution in many parts; changes in governments and calls for the end of oppressive regimes. There is still so much work to do on the path to global peace and equity… My heartfelt prayers and hugs go out to all who have lost loved ones to acts of violence, may justice prevail. 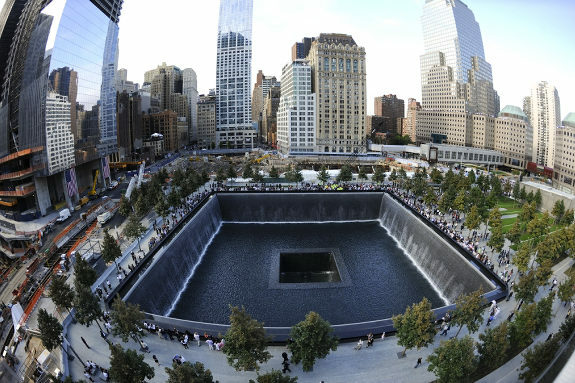 It took a long while to reconnect with the city again… and now, ten years later, we pause to reflect, mourn the many lost, and vow to never forget… The new North and South Memorial Pools, the Tribute in Light and more offer hope and peace. I offer prayers and plant fall flowers to honor the dead and encourage the living. May all find peace and comfort on this day… My heart and healing wishes go out to all the families that lost a loved one on 9.11. What do you do to remember? Above and below, I’ve shared some of my thoughts/reflections from previous writings and also the reflections of others. Let us resolve to treat each other with dignity, love, and respect for life. Blessings to all. Welcoming Another Decade: Of the many memories I will cherish from the last decade, 9/11 will remain the most powerful and painful. Others revolve around work, family, health, travel, and many learning and growth opportunities. I tried out a few new career paths, I ate and traveled plenty and watched my children grow. I welcomed nieces into my extended family, I said goodbye to a few friends and in-laws, I recuperated from a few health scares, celebrated many birthdays and read a lot… September 11 left an indelible impact on many of us… May we always remember to stand for peace. More below! “For me and my family personally, September 11 was a reminder that life is fleeting, impermanent, and uncertain. Therefore, we must make use of every moment and nurture it with affection, tenderness, beauty, creativity, and laughter.” –Deepak Chopra, M.D. 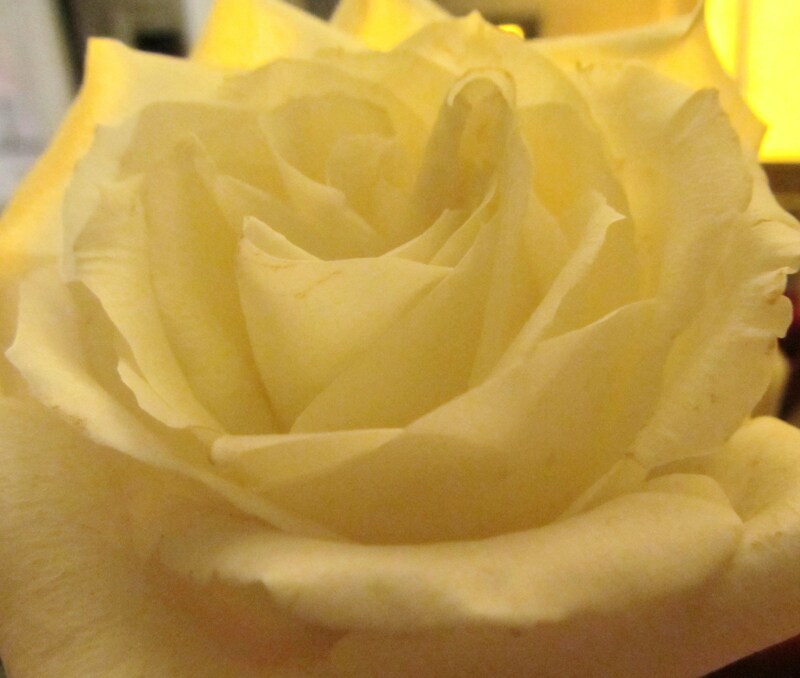 PHOTO CREDITS/ATTRIBUTIONS: All Photos, Tribute in Light via Wikipedia, South Pool by Robert Deutsch via Daily News, White Rose from my personal collection. A beautiful tribute to a very tragic day. The losses are overwhelming in their magnitude. I don’t think it will be a day we can ever forget. Lives were changed in so many ways. The faces of children trying to understand the loss of someone who left for work that morning and now is gone is beyond description. My husband at the time was a retired NYPD officer but his backpack was ready to go in minutes. Many were turned away because of the tremendous amounts of volunteers that showed up. He was helpful in other ways but he solemnity of that time still lives on everyday. It’s a tragedy that will be in all our hearts forever. TY for sharing your memory of the day too… Yes, we will never forget that day … ever. My prayers with all the families who lost loved ones and also my prayers are with every American and every single person of the world rooting for peace and harmony. 9/11 to me, as a Muslim, is a difficult day. I cannot even start to understand how people can do such things in the name of religion. Just because a fraction of people follows intolerance it reflects badly on the entire Muslim nation. I was and am still left stunned with the act, and the perpetrators attributing it to Islam and worse, some people at home and abroad actually cheering the incident – just beyond my understanding. And today, I am stunned to hear about the attack on the American consulate in Libya blaming it on a defamatory film on the Muslim nation produced by a group of Americans. Nothing is going to be achieved if everyone is going to fight fire with fire. We all need to learn to respect our fellow human beings, respect diversity, respect difference in the way of life.. I pray for a day we stop asking the other to live life our way. Live and let live is what I live by. It still seems surreal to me, the memory of that morning. It gives us all pause for reflection each year. thank you for sharing this tribute to the brave men and women. they will never be forgotten as long as we can write! May our spirits be raised up as lights for all the world to see in peace and goodwill, as an everlasting memorial to those lost on 09/11/2001! Amen to that wonderful prayer! TY! Thank you for such a moving tribute. In many ways it seems like yesterday. What a beautiful tribute to such a tragic day. One that many will never ever forget. It is a memory that will always be seared in my brain… TY! I am sure, especially given where you live. I can’t even begin to imagine. We must never ever forget… and peace efforts are imperative. TY! Such a poignant and moving tribute Eliz. TY Madhu! It was a terrible tragedy. A fine tribute, Elizabeth. The horror still lives on in my memory although I am not in America but that day I was nursing my five month old baby boy and watching TV at the same time when suddenly the programme was halted and BREAKING NEWS emblazzoned on the screen. Then the pictures of the hit and burinng twin towers flashed across the screen and the announcer said in a choking voice, the unimaginable. I will never forget this horrifc symbol of intolerance and wanton destruction of lives. The USA may not be the favouirte bed partner of dveloping countries and the issues of Islam fundamentalism too intricate to understand and go into. But such a blight on the history of mankind only goes to show that life is fleeting and all else is vanity. May all those who lost their lives that day rest peacefully in the bosom of the Lord. Beautifully written tribute – the pain never goes away but as I watch the new tower go higher and higher each time I see it and then look at the two tranquil pools there is hope. And then you hear of more killings across the Middle East by fanatics – when will this stop I wonder…. A wonderful tribute. 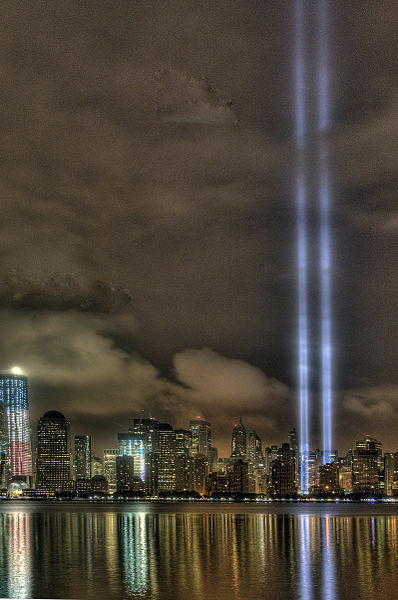 That photo of the “tribute in light”, is really moving. I love that Obama quote. So true. I cannot imagine what it must have been like to witness that horror and devastation firsthand. We watched it from afar and were beyond words. Your thought-provoking tribute has prompted me to write one of my own very personal memories of those hours in a prose poem, but I don’t think I will post it. Thanks for sharing a post that gives justice to the heartaches and tears brought by this tragic event. We all should never forget and should never let a similar event happen again. We all should always remain vigilant and work as one unit fighting to preserve our freedom and way of life. My thoughts and prayers to the victims and their familiies. I was collecting my son from school when it happened. My husband phoned to tell me; I thought it was a light aircraft that hit. I think my real love and respect for America and Americans was born on that day. Thank you for a well written and communicated set of memories. I was living in your country during that time (I’m an Australian, now back home in Brisbane), and like everyone else, I was horrified to see this occur, as well as the years of recovery. At the time I was working and heard a report about the first plane — returned to my office to find that the building was closed due to a bomb threat (I was at a University, so pranks are common), so we had the rest of the day off. I returned home and sat in disbelief as I watched the 2nd plane go in. Years on and 10000 miles away, the event never leaves me. I lost a good friend in Tower 1, and his memory remains through the years. My thoughts and prayers to all.